For retailers and for restaurant accounts, it’s critical that you get to know the team, not just the owner or the buyer, but the salespeople on the floor and the servers who work the tables, respectively. Effectively, they’re the “troops in the trenches” who will sell your wine and spirits selections to your account’s customers and guests. It used to be common for a wine store owner to be the buyer who decided everything that was offered for sale. Floor salespeople were responsible for selling without any input on which bottles were chosen for the shelves. Many shops still have one buyer, but often the buyer will be guided by a tasting panel of salespeople or, at least, a number of opinions of those who work at the store. Typically, restaurants and restaurant groups have a buyer or buyers who purchase the selections for their wine lists, and the somms and servers have a number of options to, in turn, learn about and communicate what’s on their lists to their guests. What’s the “DNA” of the Account? For restaurants, is it basic, traditional American, New American or “comfort food” diner-style? Is the cuisine farm-to-table, ethnic, bistro, tapas or small plates? Is the account a wine bar or an artisanal pizza joint? Is it a regional or national chain restaurant that does huge marketing in print, TV, and web? Similarly, for retailers, is the store a monolithic, big brand warehouse, a neighbourhood shop, a fabled wine geek destination, a decades-old “institution,” or an independent shop that features natural and small-production bottles? What’s On the List/On the Shelf? Between restaurants, there is some overlap in products, particularly in the account’s location in the country and whether or not they feature big brands, but, for the most part, each of these types of accounts has a list that contains characteristic selections. Use this knowledge to inform what you put in your sample bag and in how you learn about the team at your accounts. As with restaurants, it’s usually the case that each of the retail account types is going to offer a different mix of products that reflect the buyer’s vision of what will work best at their store. How Does the Team Talk About Wine and Spirits? At restaurants, while waiting for a meeting, sometimes you’ll have an opportunity to hear a wine director prep their team before lunch or dinner service. Note how the wine director talks about wines and the chef’s dishes. Along with this, doing “work-withs” with a distributor rep for staff training is a great way to hear how a given account team will talk about wine and spirits to their guests. At retail, listen to the salespeople talk to each other during tasting appointments and to customers when they’re on the floor. You’ll find common themes, phrases and language used and this can inform how you pitch your products. It will greatly help if you learn the names of the team members at your restaurant and retail accounts. If it’s a busy retail account, bring them a pizza, doughnuts or something they can eat quickly. They will remember the thought. When you taste, try to note who likes what and why. What kind of comments does the team make when you taste? Is the buyer open to different opinions from the salespeople on the floor or do they make final decisions regardless of input from others? Smart buyers will take into consideration the opinion and palate of others, especially those quite different from their own. 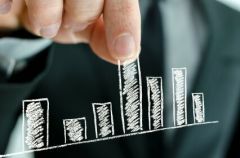 Buyers who make purchasing decisions based solely on their personal preferences rather than on what they should know will sell to customers with varied tastes are foolishly ignoring a huge amount of potential sales. There likely won’t be as much of a chance to learn what the team likes at restaurants, but it’s important to figure out what the buyer’s preferences are and what they think will work well on their lists. Most good restaurant buyers have a clear concept of their budget, their chef’s flavors, and the “wiggle room” they may have in either sticking with a consistent range of wines and spirits or in the possibility for new additions. For restaurants, do they do wine dinners with a winemaker as host? What kind of information is imparted and what is the event format? Depending on the venue, format, and winemaker, wine dinners can vary considerably, from very casual, with quick anecdotes and stories, to fairly formal presentations and “master class” seminars, with plenty of technical details, hard copy information packets and PowerPoint presentations. 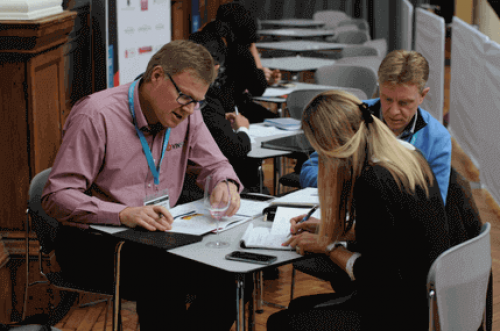 For restaurant and retail education, the teams at your accounts will have varying levels of participation, depending on what is presented and how, however, these are good opportunities for you to support your accounts to help their events be successful. Chris Fleming is a journalist, marketing consultant, & educator. His articles have been published in The World of Fine Wine, The Wine Spectator, The New York Times, The Robb Report, SOMM Journal & others. For marketing, he has worked for fine wine importers Kobrand Corp., Olé Imports, and Frederick Wildman & Sons. As the educator, Chris has lectured at the Metropolitan Museum of Art and taught wine classes at the International Culinary Center/French Culinary Institute and the Institute of Culinary Education. Currently, Chris writes about wine for online trade and consumer media outlets and he is a part-time salesperson at Vintry Fine Wines, a renowned wine and spirits shop in NYC’s Financial District. 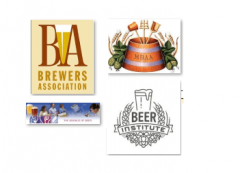 On this page you will find List Of Brewers Associations in USA and summary on each of the brewers associations. 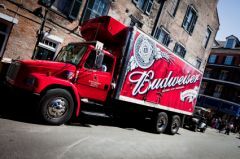 Information for wine, beer and spirit distributors on how to increase operational efficiency and reduce costs.